You are here > Home>Latest News>What Makes Tuffa a Steel Fuel Tank Leader? What Makes Tuffa a Steel Fuel Tank Leader? When the customer from any of a wide range of organisations requires a fuel tank, there are plenty of plastic tanks on the market – from bunded heating oil tanks and diesel tanks to waste oil tanks and single skin tanks – that may be suitable for the desired application. However, for those that require particular design versatility in their fuel tank, as well as manufacture to any dimensions that they require from an even more durable material, a steel tank may ultimately be the only solution. 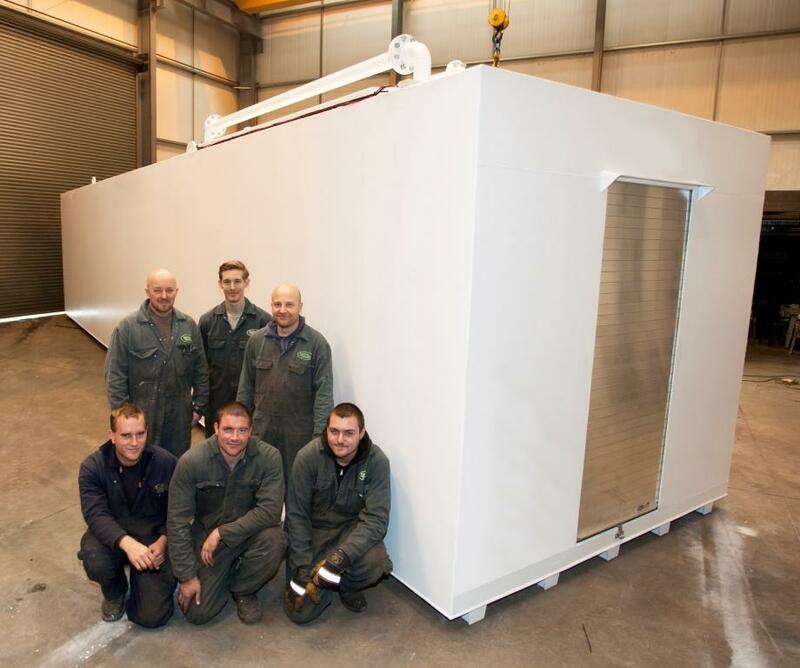 The best manufacturer of liquid tanks is likely to be able to provide a fuel tank solution that perfectly suits the intended application, whether the customer requires an oil tank, diesel tank, multi-compartment tank, fire protected oil tank, petrol tank or bespoke tank. One such leading manufacturer is the Uttoxeter firm, Tuffa. Having been developing and manufacturing liquid storage and dispensing equipment for more than 25 years now, the company routinely supplies highly innovative steel fuel tanks. There are several standout features of a steel fuel tank from Tuffa’s highly skilled fabricator welders. Such benefits include manufacture in Mild Steel to BS EN/10 025, as well as to BS799 Part 5. Compliance with oil storage regulations is also ensured by the tanks being fully bunded, and there are even many capacities, thicknesses and colours to choose from. Not only can critical dimensions be catered for in the manufacture of such a fuel tank, but the final solution can also incorporate fire protection for both domestic and commercial contexts. Impeccable security is ensured by a lock facility, and customers are also welcome to enquire about plastic inner/steel outer tanks. However, to truly understand the full breadth of the Tuffa fuel tank range, it is instructive to look at solutions at either end of this range. Those with lesser requirements, for instance, may opt for a model like the 2900SB. It is manufactured from the same high quality mild steel as Tuffa’s other steel fuel tanks, is waterproof and offers a servicable life exceeding 30 years, should it be regularly and suitably maintained. This fuel tank also complies with the regulations through its minimum 110 per cent bund capacity, and is fitted with only the most premium ancillary equipment. With a full specification encompassing the likes of a 2″ BSP fill point complete with cap and chain, a vent and float level gauge, it is more than adequate for all manner of fuel storage needs. At the opposite end of the range, however, can be found the mammoth 20000SBFS tank, which offers such features as a submersible pump, digital flowmeter and nozzle holster. With optional extras for this highest specification steel fuel tank including the likes of 30 minute and 60 minute fire protection, replacement filter elements and an Armco protection barrier, it’s difficult to think of any requirements from such a tank that could not be fulfilled by such a company as Tuffa.